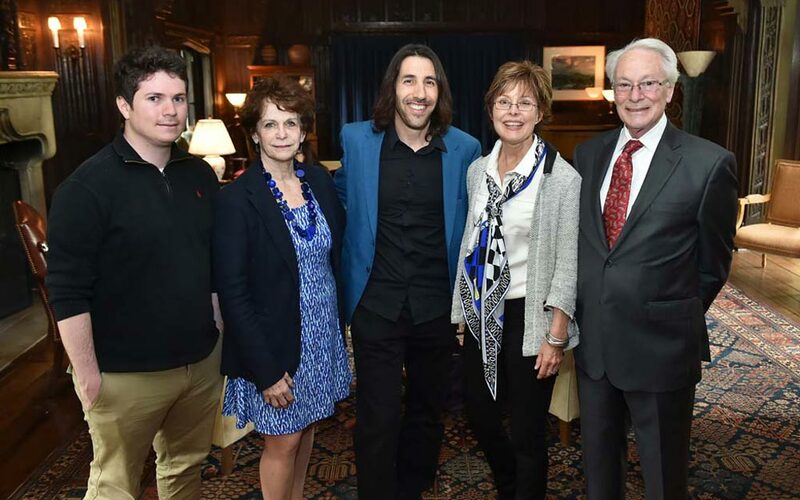 A luncheon to celebrate the inauguration of The Ellen Kingsley Hirschfeld Chair in Writing and to recognize first chair holder David Hollander was held on Monday, April 25. As part of their commitment to The Campaign for Sarah Lawrence, Trustee Nancie H. Cooper MFA '04 and her husband Stephen Cooper endowed the chair and named it in memory of Nancie’s friend, journalist Ellen Kingsley Hirschfeld ’73. During her 25-year long career as a medical reporter, editor, and producer, Ellen Kingsley Hirschfeld (1951-2007) won over fifty journalism awards, including six Emmy Awards, five National Press Club Consumer Journalism Awards, and the James E. Scripps Award for Distinguished Journalism. In 1998, Ms. Kingsley Hirschfeld won a prestigious MacArthur Foundation grant for founding ADDitude, a successful monthly magazine dedicated to attention deficit hyperactivity disorder. She became a forceful advocate for people with AD/HD, serving on committees and participating in forums for the American Academy of Child and Adolescent Psychiatry, the National Mental Health Association, and other national organizations. David Hollander is the author of the novel L.I.E., which was named a finalist for the New York Public Library’s Young Lions Award. His short fiction and nonfiction have appeared in dozens of print and online forums. He is one of the most respected and sought-after members of Sarah Lawrence’s writing faculty.